A Wisconsin state legislator says federal legislation will be needed to get the gray wolf off the Endangered Species List. State Senator Tom Tiffany also suggested that the Endangered Species Act itself could be at risk, if efforts to delist the animal in the western Great Lakes states don’t succeed. 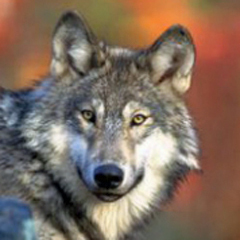 A recent ruling by a federal appeals court keeps the wolf on the endangered list. It’s the latest action in the now years long effort to delist the animal in Wisconsin, Michigan and Minnesota. Tiffany (R-Hazelhurst) argues the gray wolf is “fully recovered” in the region. “In fact their numbers are so high at this point that they’re causing really serious disruption to pet owners, farmers and ranchers, and it’s not just northern Wisconsin any more,” Tiffany said, adding that lawmakers need to realize the courts will continue to block action. “You’re not going to get help from the courts. This issue is going to continue to be ping-ponged. It’s time for the delisting to happen and to no longer allow judicial review. Allow the state to manage this population,” said Tiffany.